I find leopard in fashion is a bit controversial these days. We go in waves with this trend, but we always eventually come back to it. The world has a love affair, falls away from the idea, then comes back to the look with open arms. It's a weird one. 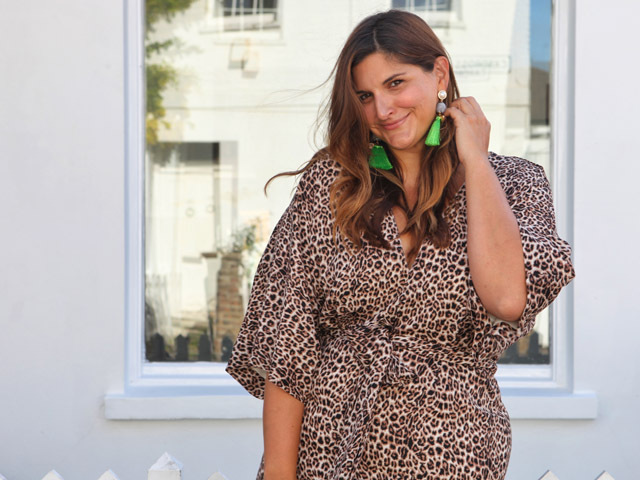 It's also the reason I never ever get rid of anything leopard that I own, and always invest in pieces I know can be worn a 1,001 ways in the future. This leopard dress is a bargain. I'll just say that up front. It's a dress that won't cost an arm and a leg and it's an easy fashion win. But, it's full on leopard, and girl... you gotta have some serious attitude to wear it. This isn't the dress for the shrinking violet amongst us, unless you're one looking to jump out from the crowd in triumphant victory. If that's the case, grab this dress now!! !